If you’re putting your home on market, you’re probably dying to know what home buyers will have to say as they tour your property. While you hope there’ll be nothing but oohs and aahs, that’s not always the case. 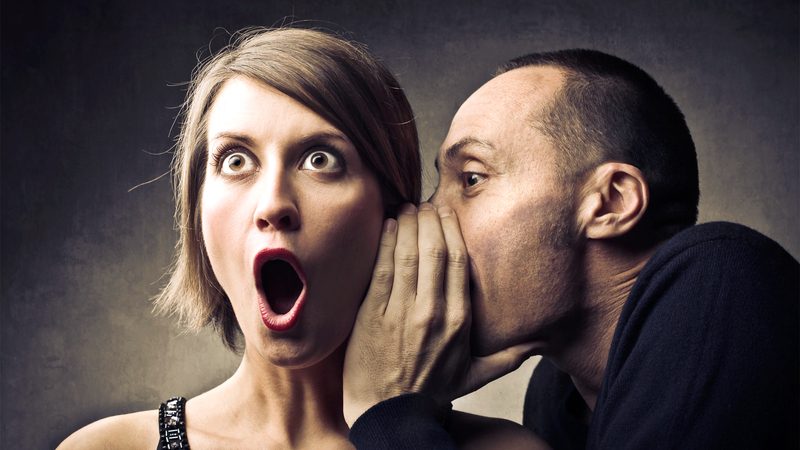 Just so you know what potential buyers are really thinking when you’re not there, we asked Realtors® to reveal some of the most noteworthy—and cringeworthy—statements they’ve overheard as potential buyers inspect the goods. Wince, take note, and act accordingly. Apparently, home buyers follow their nose, so get the funk out before they arrive. ‘Did someone die in here?’ “I have shown homes where the smell was so bad that the clients asked, ‘Did someone die in here and their body is in here decomposing?’ ‘Wow, this place smells like a dog, cat, hamster, ferret, etc.’ No, we’re not sure what ferrets smell like either. But do your best to keep pet odors in check by regularly grooming your critters, cleaning litter boxes, and making sure they don’t leave a scent trail of any kind. If it smells of tobacco smoke, more and more people walk in, take a few whiffs, and then walk right back out. It goes without saying that a good cleaning and opening the windows will eliminate most funky smells, but if an odor won’t budge, consider lighting some scented candles. And since even cleaning products can have an off-putting scent, Witt Leiken suggests leaving some time between shampooing those carpets and putting your place on the market. Here’s a joke frequently heard: A couple walks into a closet. One person turns to the other and says, Well, this closet is great, but I don’t know where you’ll keep your clothes, honey! Joke or not (and we’re not entirely sure it is one) , there’s a huge grain of truth here: Every inch of storage space matters. Even if you have to store clothing and accessories elsewhere, it pays to make your closets look as spacious as possible. Remove stuff. You’ve been warned: Buyers will open kitchen cupboards, medicine cabinets, and anything else they feel they need to see to make a decision on the home. And that can come with some snide commentary on your stash of Zoloft, Viagra, or prescription laxatives. So do yourself a favor and hide your medicine some place safe, like inside your nightstand (even the most prying home buyer usually won’t go there). The questions came as buyers toured a home that featured a Disney theme throughout. As much as you (or your kids) may love your “Frozen” shower curtain and Elsa and Anna salt and pepper shakers, try to stick with neutral decor. Even if your home is pristine, dark or dimly lit rooms are a mood killer, say Realtors. Luckily, this is a flaw that can easily be remedied, even if your home doesn’t get tons of natural light. For starters, be sure to pull back the curtains, take them down completely, or switch them to a sheer material that lets in light but maintains your privacy. And if you need even more help, flip on every switch or get more lamps. Many buyers won’t care if they’re basking in sunlight or lamplight as long as it’s bright. Since homes are supposed to be our place of refuge, noise—from traffic to rowdy neighbors—can be a huge turnoff. So if you live in a noisy area, do what you can to block it out by planting trees and shrubs between your home and the road, or between you and our neighbors’ yards. You can also get soundproof windows, which could be well worth the investment. Realtors often hear buyers say, “If this had a fresh coat of paint it would make it so much nicer!” Talk about a missed opportunity. It’s true that a nice bright coat of paint goes a long way. It is an inexpensive way to brighten up any space. And to get top dollar on your home, of course. Buying your primary home is like achieving an essential piece of the American dream. And once you’ve experienced the satisfaction of homeownership, you might be tempted to purchase another. Hey, who wouldn’t want a leisurely vacation getaway spot—especially if you can turn it into a cash cow by renting it out? While vacation homes can be an excellent source of income, managing them isn’t as easy as washing the sheets and posting a listing on VRBO. Avoid these mistakes, and you’ll soon be on the road to vacation home heaven. And, hey, maybe we can come stay once in a while? It’s a big gotcha for a lot of people. Before committing to a purchase, check homeowners association rules and city or municipality regulations. Your real estate agent should be able to help—but make sure you’ve picked a pro who’s familiar with vacation rentals. You might be tempted to skip this step, because you see other folks renting out their homes nearby. But beware—if you’re caught, you could face hefty fines. Guests are paying their hard-earned money to stay at your place instead of the traditional hotel down the block. That means it’s your responsibility to keep the place clean and manage the arrival and departure of guests—as well as any problems that arise along the way. And while you certainly can manage those details yourself, you might want to consider outsourcing them. A lot of people get into and find out it’s way more work than they thought. It’s a pseudo part-time job. That’s where a management company comes into play. But don’t choose a company based on which takes the lowest percentage cut, and be wary of the ones that charge a ridiculously low rate. They might be absentee, unskilled marketers, or maybe just dirty. That way, you’ll be able to see how clean they keep each home, without giving them a chance to scrub beforehand. Many vacation homes are sold furnished, so don’t be turned off by one that needs a makeover. Think of that garish wallpaper as a gift: It might throw off other buyers and nudge the price down, while you—the smart buyer—can just peel it off. We know the idea of having your own personal getaway, surrounded by all the things you treasure, is basically living the dream. But we’ve got some bad news: If you’re looking to rent out your property, your tastes simply don’t matter. You want something that aligns with the market and that renters are likely to be searching for. For instance, one- or three-bedroom homes rent better than two-bedroom ones. Pay attention to what works in the vacation rentals nearby: Are buyers gaga for lake views or furnished porches? Spend your money on that, instead of making the home comfy according to your own standards. Sites such as Airbnb and HomeAway have made renting out vacation homes a relatively painless process—while being fun at the same time. But that doesn’t mean you can treat managing your vacation home as a hobby. Sure, you could post some photos and get up and running right away. But you’ll be better off taking your time and making sure you didn’t miss anything that could throw your would-be vacationers for a loop. Quite simply: You’ll want to go above and beyond—providing amenities, guidebooks, and around-the-clock service. If you charge a nightly rate that is competitive with a hotel, you’re responsible to deliver a hotel-like service. You’re running your vacation rental like a business and not a lemonade stand. With apologies to “Game of Thrones” fans, winter isn’t just coming—it’s finally arrived! That is, if the massive snowstorm that swept across much of the U.S. this weekend didn’t already give you a heads up on this fact. Purchasing a mountain retreat that can serve as a base for skiing or snowboarding trips may be the real estate equivalent of that black diamond run. It offers plenty of rewards—but also some big-time challenges and more than a few risks. We spoke to some of the best folks in the business on the subject, so make sure you think about the following things before you push off the edge. Ready? Let’s shred the gnar! 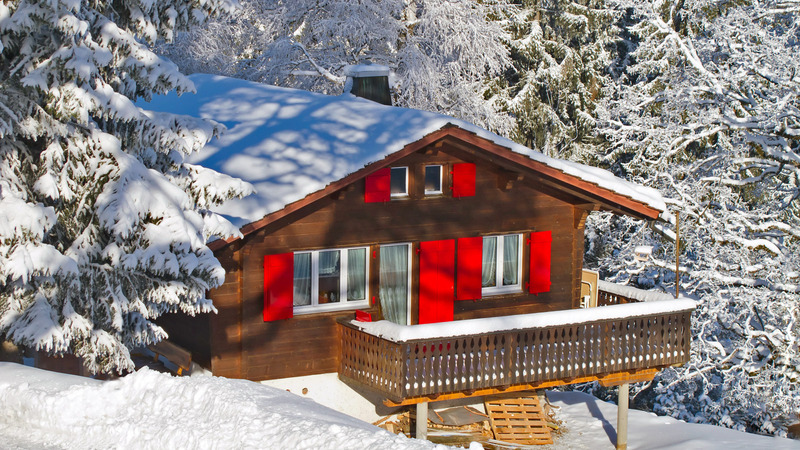 It seems obvious, but this will determine whether you’re going for one of the shiny new winter resort developments or a fixer-upper. And, yes, it will also determine just how close you’ll get to the slopes. Obviously, as with all real estate, location is key. If you can’t buy on the mountain, you try to buy something that has reasonable proximity. Ask yourself if the home truly fits your downtime needs: Will you have large dinner crowds who need a large kitchen and dining area? Is the floor plan flexible enough for multiple guests? Is a hot tub or sauna a must-have? Saunas are not too expensive to install. It’s a fun little amenity that you don’t typically have back home. So why not take the plunge? Say you spring for a pricey mountain place. Even if the home itself is swanky, you need to look beyond the front door and find out what else is being offered along with that key to your snowy kingdom. If you’ve paid top dollar for true slope-side, ski-in, ski-out living, the last thing you want is to bother with maintenance and upkeep. Many newer communities come with standard amenities such as a clubhouse, pool, and fitness center. Some even have concierge service. You want mountain rustic? Go rustic. You want mountain luxury? Search it out, and make sure you’re getting your money’s worth. Do you know your developer? If not, get to know him, pronto. What’s their staying power and long-term vision? Do they have a track record of coming back regularly and continue to improve [their developments]? That’s always a great sign of the level of commitment. Before you sink your money into such a long-term investment, find out the homeowners association rules. Are you allowed to rent out your place when you’re not using it? Are you guarded against major structural problems involving, say, how the roof handles the snow load? Yeah, we know it’s a vacation home and we understand that you’re eager to hit the slopes and start Zorbing already. But you should apply the same level of due diligence you would when buying a primary residence. What happens when you’re not there? 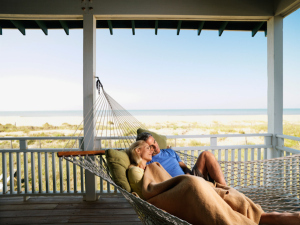 New or old, vacation homes need maintenance when you’re not around. If you buy a place that’s not part of a development, that’s where a property manager comes in. You can choose a big firm or find a single person to handle your empty home. (You can ask your Realtor® for recommendations.) Either way, you’ll be provided with a menu of services—for a monthly fee. The more maintenance, the higher the fees (duh). But the price can be well worth it compared to a burst pipe that goes unnoticed for days, weeks, or months. The cost of having a property manager is relatively tiny compared to the cost of the house. And what that peace of mind buys you is priceless. Will this home work for all four seasons? Maybe you’re one of those rare snow bunnies who wants to vacay only in the most frigid conditions. But, if you have a second home, it would be nice to use it year-round, right? If a four-season retreat is your goal, pick carefully. The summer season is as big or bigger than the winter season. Also noted, the nearby attractions, from hiking and biking to music festivals, Theater Aspen, the Aspen Institute, the Aspen ballet, restaurants, and concerts. Think of the old winter resort mantra: “I came for the winter; I stayed for the summer.” Sounds pretty good, right? In a white-hot market, you may feel pressure to make some concessions to win over a seller—and, no, we’re not talking about sending a basket of banana-nut muffins. When you make an offer on a home, it’s standard to throw in some contingencies—telling the seller that if the home isn’t up to snuff for a variety of reasons, you have the right to walk away from the deal—with all of your cash in hand. That’s all hunky-dory in a buyer’s market. But as the housing market has rebounded, buyers are getting competitive—more and more are waiving those contingencies, or protections, in order to speed the deal through to closing. You want the house, and the seller doesn’t want any hiccups. So getting those pesky contingencies out of the way is a win-win, right? It’s riskier to waive some contingencies than others. We set out to discover which are the most innocuous of the bunch—and which are the most terrifying. Remember—these aren’t hard rules. Everything depends on your local market, your personal situation, and, above all else, your tolerance for risk. Closings can be delayed, so many buyers ask for the right to move in their possessions (or themselves) early. But it isn’t something sellers or seller’s agents love. I would never allow my sellers to agree to it. There are just too many unknowns if the deal doesn’t close. And those unknowns go both ways. If you move in early, you’ll lose some of your negotiating power. After all, it’ll be much harder for the seller to believe you’ll walk on the deal if you’ve already moved all your stuff in. And if the deal falls through, you’ll face eviction from the seller and scramble to find a short-term living arrangement. Bottom line: Moving in early could potentially do more harm than good, so waiving this contingency has minimal risk. The homeowners association rules contingency lets you get out of the deal if you discover the restrictions don’t jibe with your lifestyle (say, they won’t allow you to have three Rottweilers or paint your front door eggplant). Let us be clear: We do not recommend getting to this point on your path to homeownership without asking about the basics of the home you’re trying to buy—including HOA rules. Ask for a copy and read it before making an offer. Bottom line: Since we think you should do your homework, waiving the HOA contingency seems pretty low-risk. This contingency gives you the right to back out of the deal if your home financing falls through. And waiving it can go very, very wrong. That’s because any number of things could happen before your loan’s been sent through underwriting. The lender could decide to lower the total loan amount, spike the interest rate, disqualify you from a certain loan, or a myriad of other “oh crap” situations. If you’re locked into a home offer and can’t hold up your end of the bargain, you could lose your earnest money. But not every buyer needs to worry as much about financing. Say, for example, you’re paying in cash. You won’t need the lender, so you won’t need this contingency. And if your credit is spotless, you’re making a solid (at least 20%) down payment, and you’ve had the same good job for a while, you’re also in a better position to take this risk. Bottom line: Talk it over with your Realtor and mortgage broker and find out just how confident you should be in your financing. But keep in mind: Even with a pre-approval letter, things can still go awry in the final lending stages (including the appraisal—see the next item). That’s why we’re rating this one high on the risk radar. An appraisal is required by most lenders, and it can be useful to buyers trying to negotiate a price. But appraisals can be tricky. That’s because a number of factors can affect the outcome of an appraisal: the appraiser might rely heavily on the value of comparable homes that sold for mysteriously low prices, or perhaps he saw the house in less-than-ideal conditions. 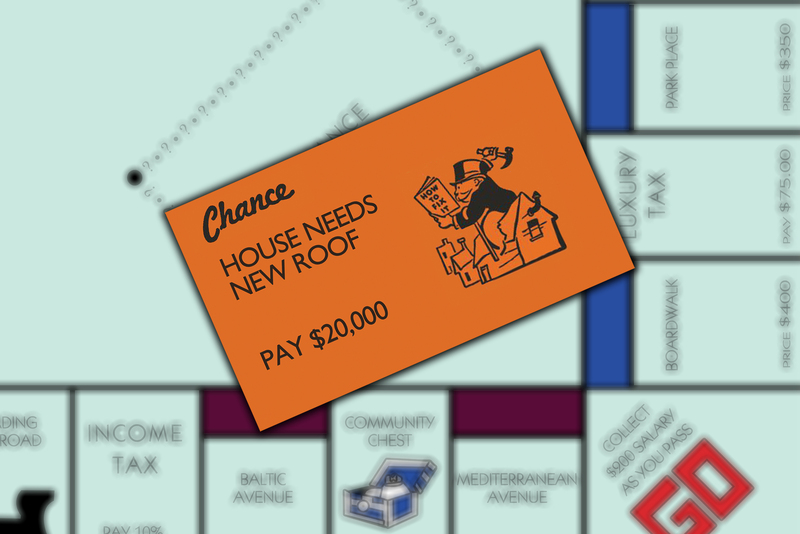 And especially in a hot market where homes are selling for inflated prices, the appraisal value might not match your expectations—but you still won’t get a discount. Sometimes the market—that is, the price a buyer and seller agree to—isn’t the same number as what an appraiser thinks it’s worth. 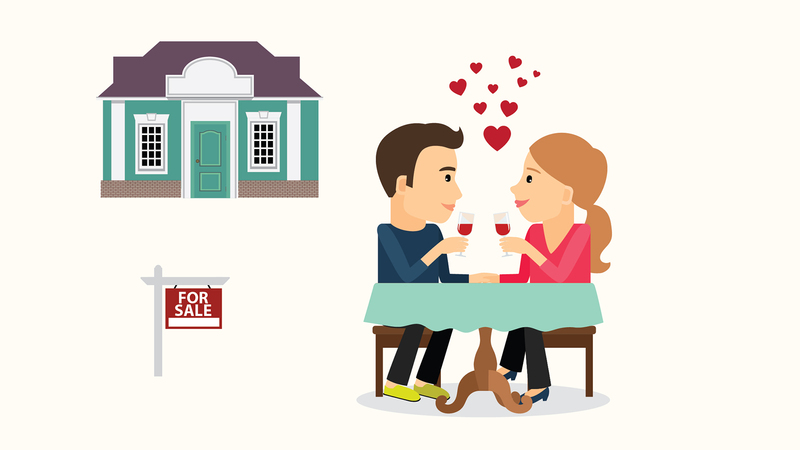 Bottom line: If you’re looking to woo a seller, you might want to skip the appraisal contingency, especially if you think it won’t change the asking price of the house. But be careful—your lender may not agree to a loan over the appraisal price, leaving you to foot the remaining cost of the home. Because it could go either way, we’re placing the risk level squarely in the middle. The right to get a full, professional home inspection—and flee into the night if new and horrifying info comes to light—is a crucial contingency. Without a licensed inspector viewing the property, you can only guess what might be potentially wrong with the home, now or 10 years down the line. By waiving this contingency, you lose the right to make any requests for additional repairs—or to run away—before the deal closes. This is scary stuff, people. Nobody wants to be stuck in a money pit. If you’re still convinced waiving this contingency is the only way to win the seller’s heart, try finding some neutral ground. Like a general inspection contingency, which gives you the right to void the contract, but not to ask for repairs. Bottom line: Unless you know you’re getting a fixer-upper and will have to make repairs anyway, you’re gambling big time by waiving this one. If the opportunity arises to waive this one, it’s time to run for the hills. Abort mission. Just say no. You may not be able to waive a clear title search in your area—in some parts of the country, it isn’t even legal. But if you discover you can, don’t. A title search will churn up all kinds of important info—like who actually owns the home and if there are any liens on the property. It might seem far-fetched, but title problems happen all the time. Waive your right to it, and you might find that along with your new home, you’ve acquired thousands of dollars’ in liens. Personally, I would never waive this even if it was an option. Bottom line: Seriously, the risk is high. Don’t forget to ask your Realtor’s advice before you waive any contingency. All deals are unique, and only a pro who knows you and the market can tell you how to strike the best deals to score your dream home.